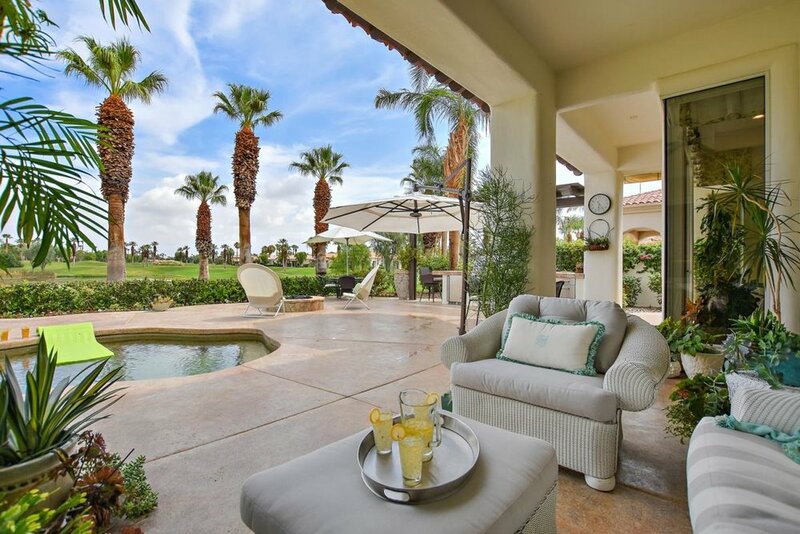 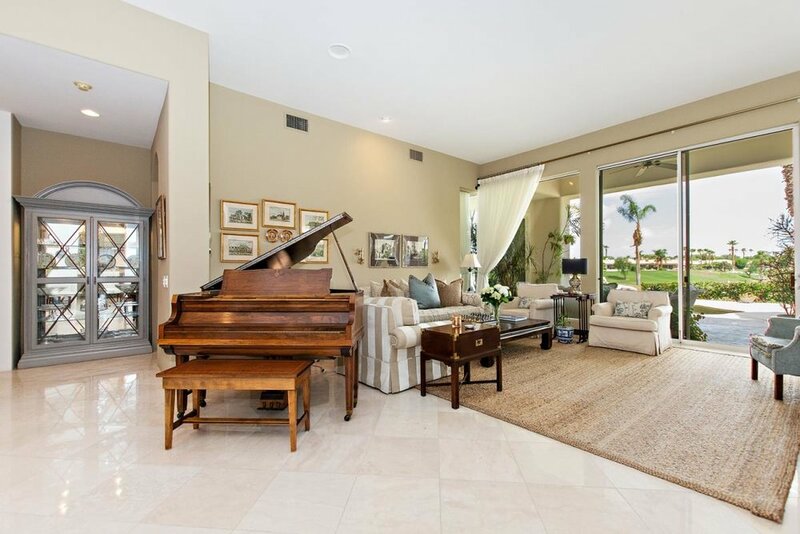 Welcome home to this unique PGA West Heritage 1 plan with spectacular views of the Nicklaus Tournament Course par 3 - 8th water hole. 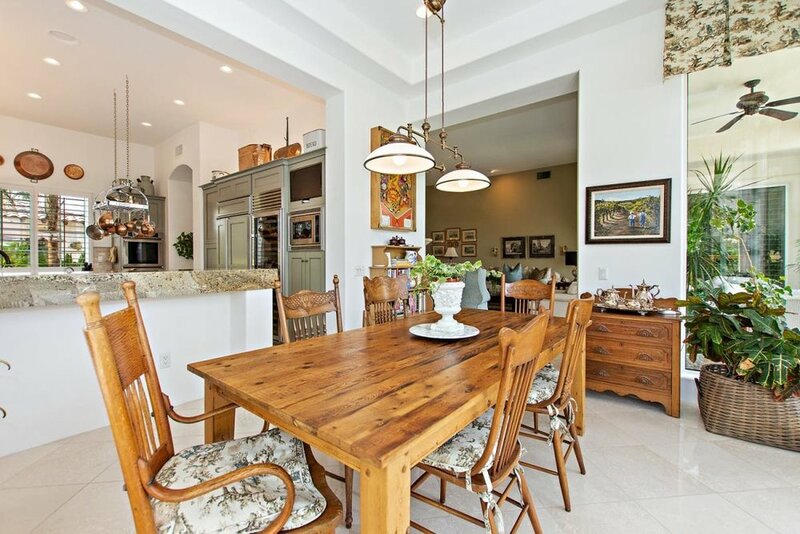 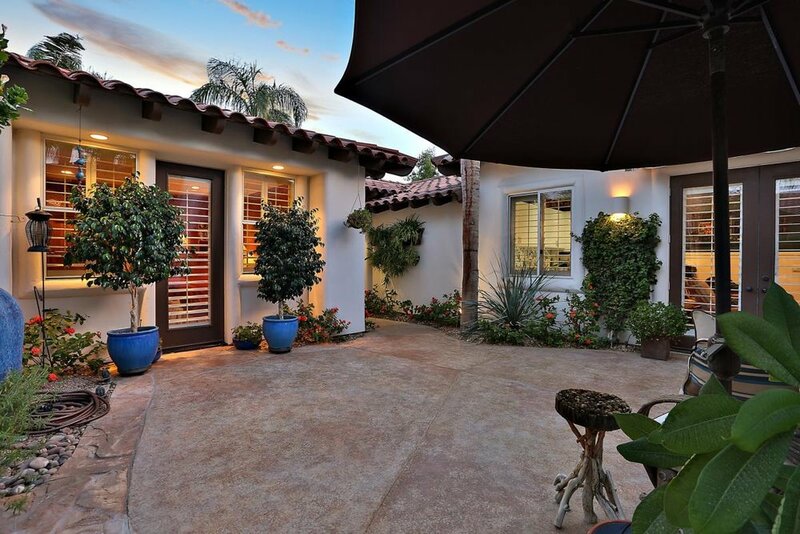 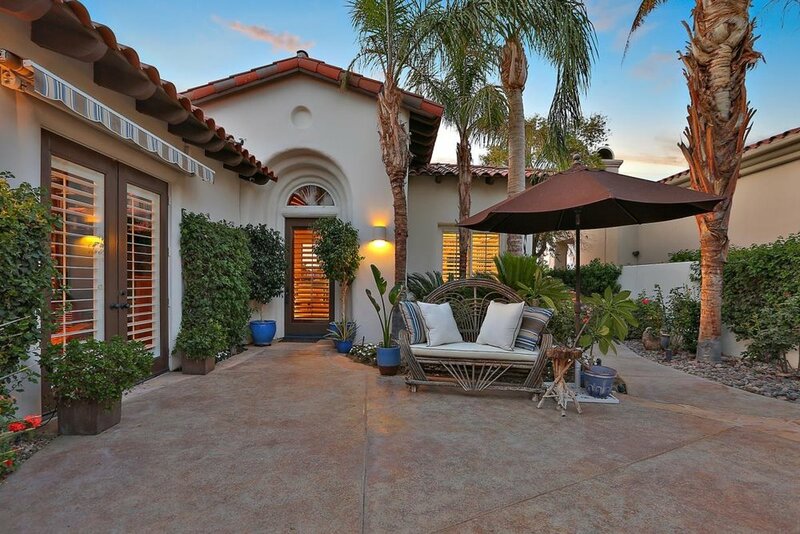 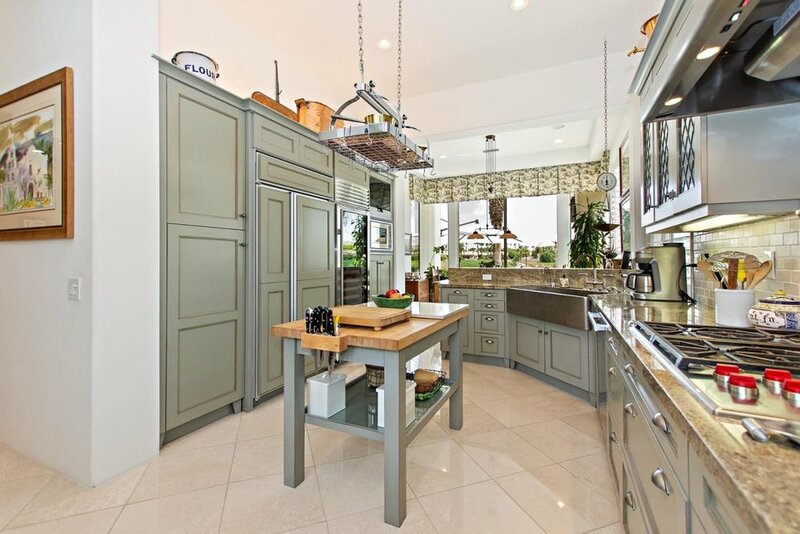 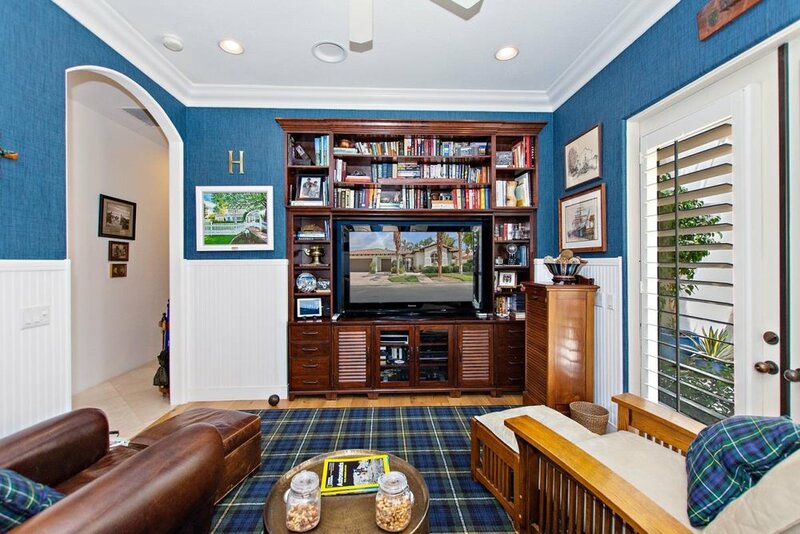 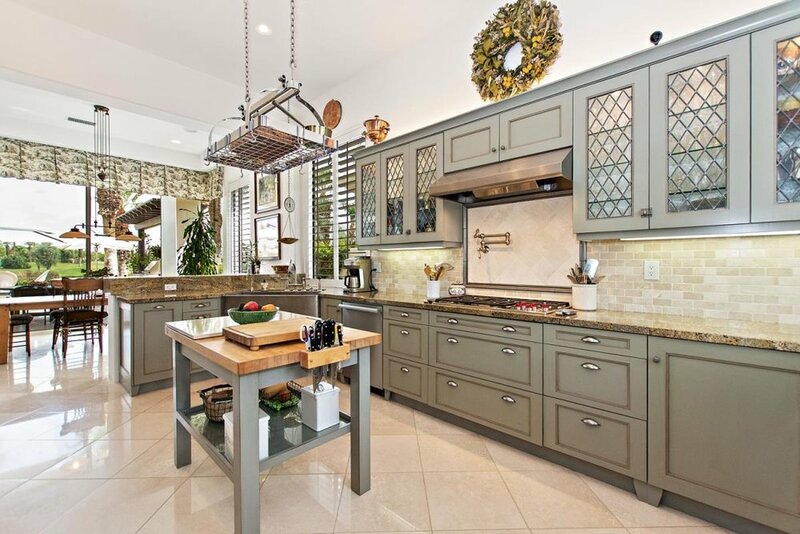 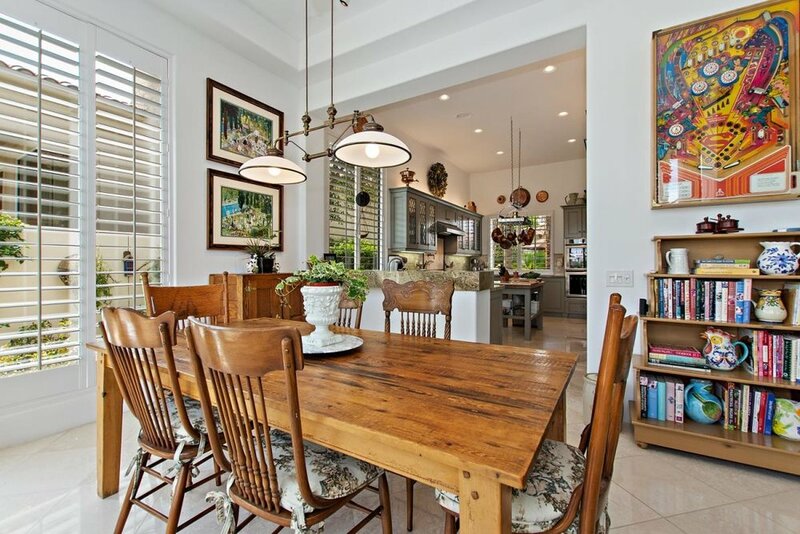 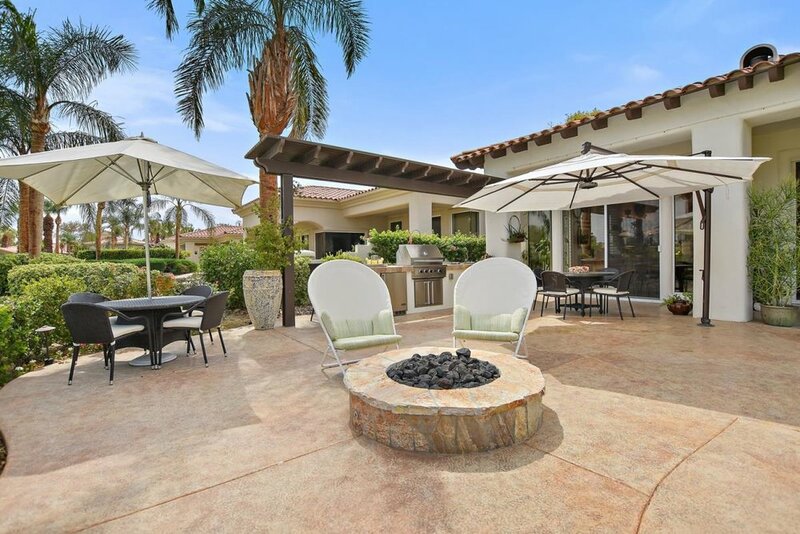 Enter the gated courtyard with private casita entrance, to the light & bright open floor plan. 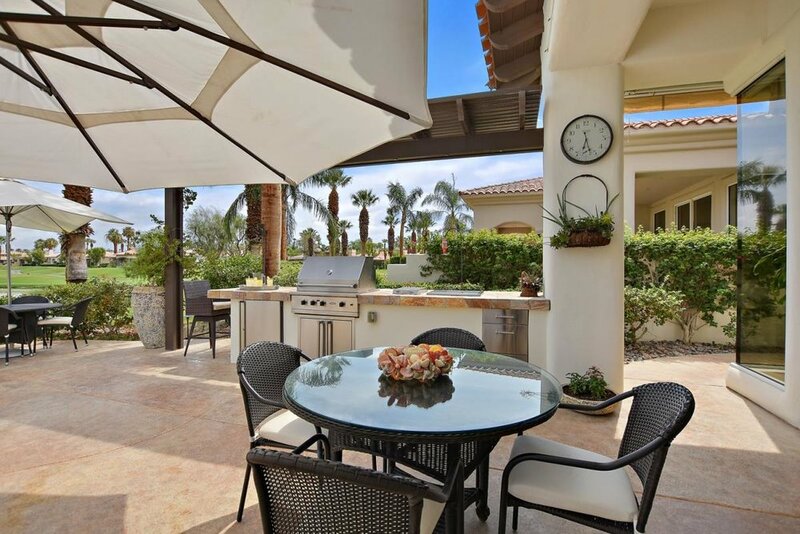 The impressive chef's kitchen & great room opens up to the dining area where the views continue to the entertainer's backyard. 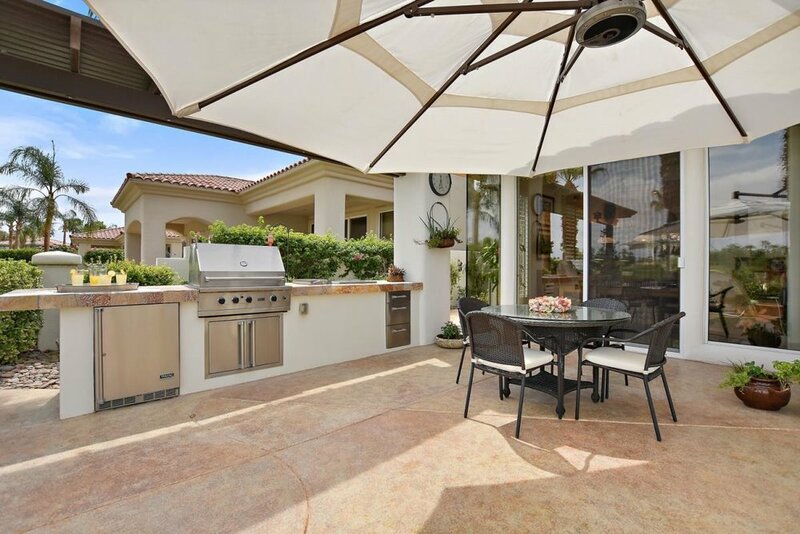 Your friends & family are sure to enjoy the lushly landscaped backyard, custom pool, spa, cascading rock waterfall, built-in granite top BBQ, fire pit, & private veranda covered sitting area. 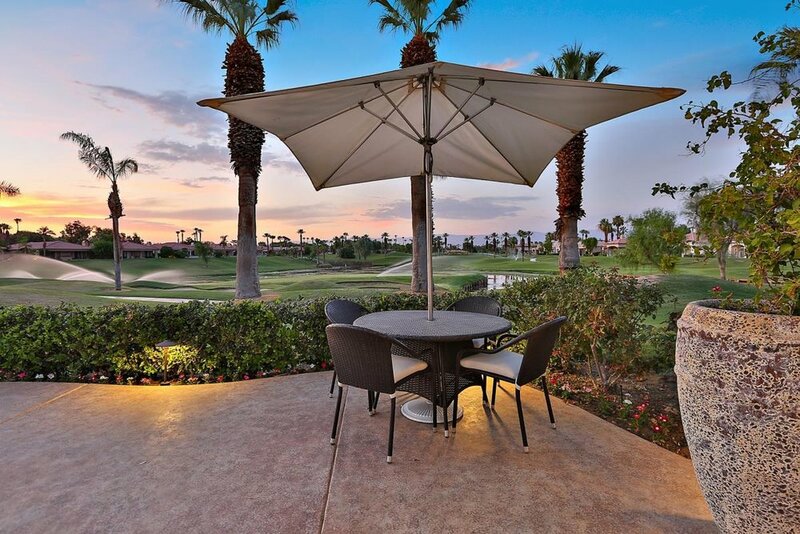 Relax with a libation, a good book, or take in the action on the golf course. 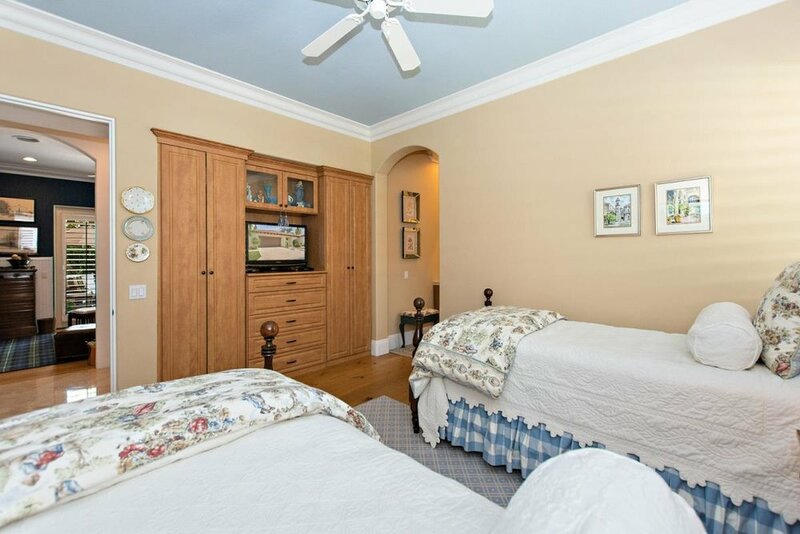 The guest rooms are just the right size for the whole gang. 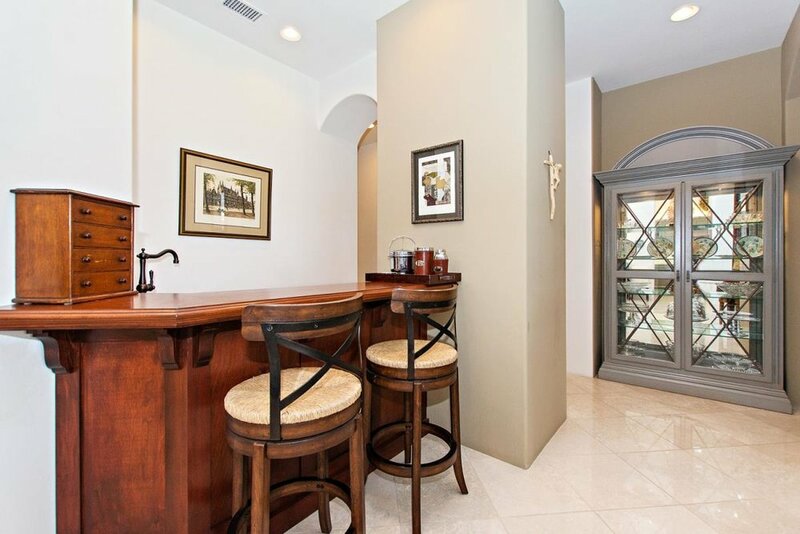 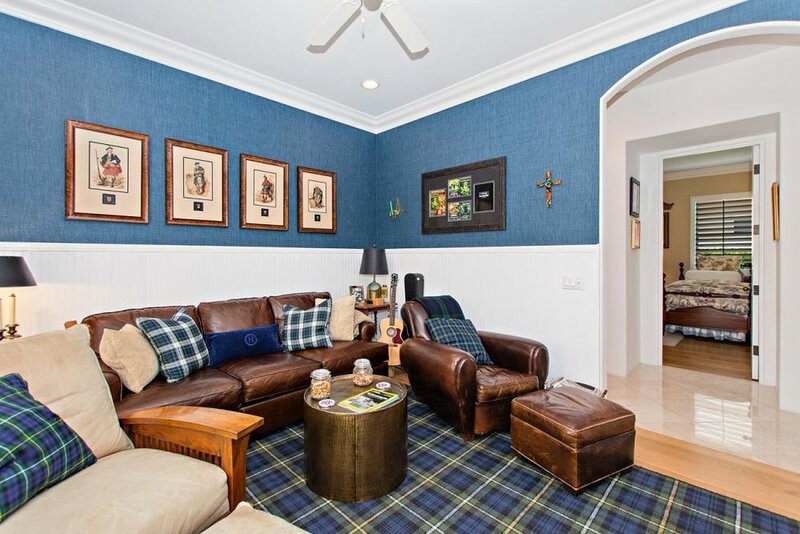 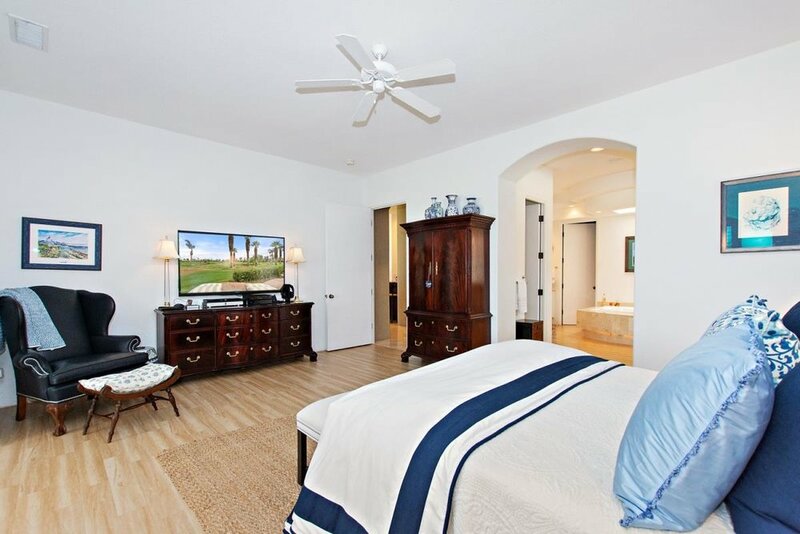 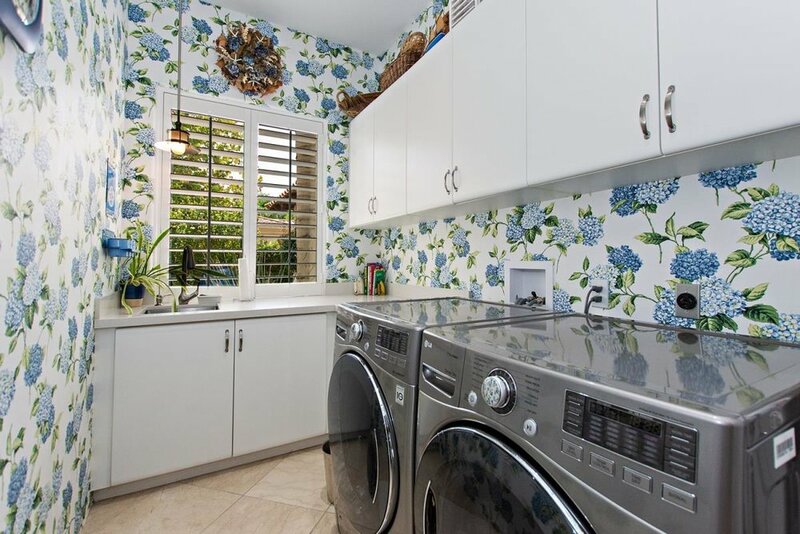 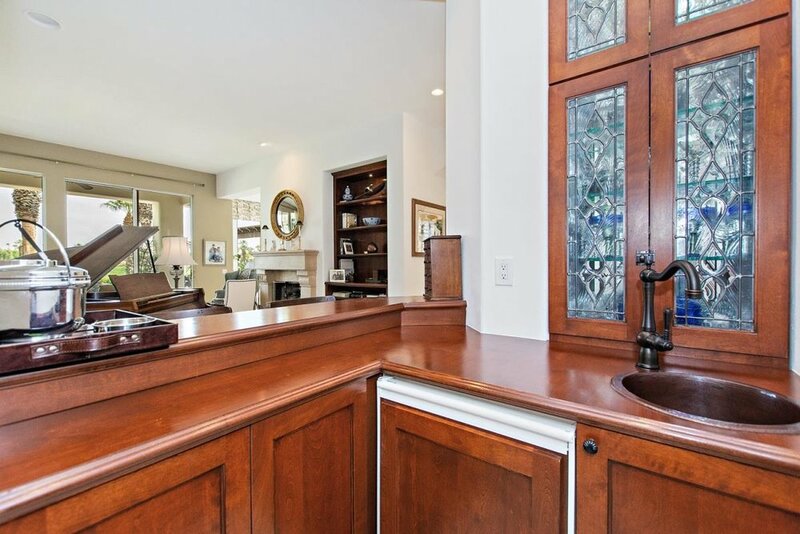 Other features are stainless appliances, wet bar, expanded master bedroom luxury suite w/built-in dual offices, remodeled secondary baths, marble floors on the diagonal, surround sound, shutters, ceiling fans, built-ins throughout & more. 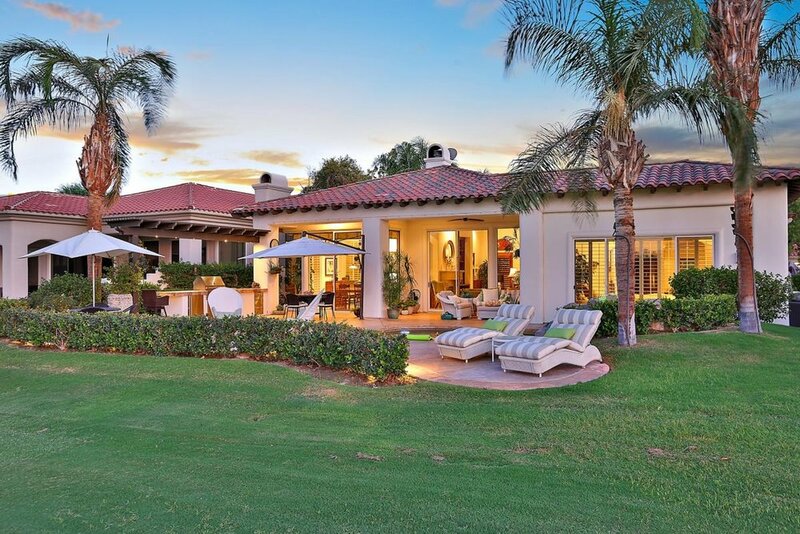 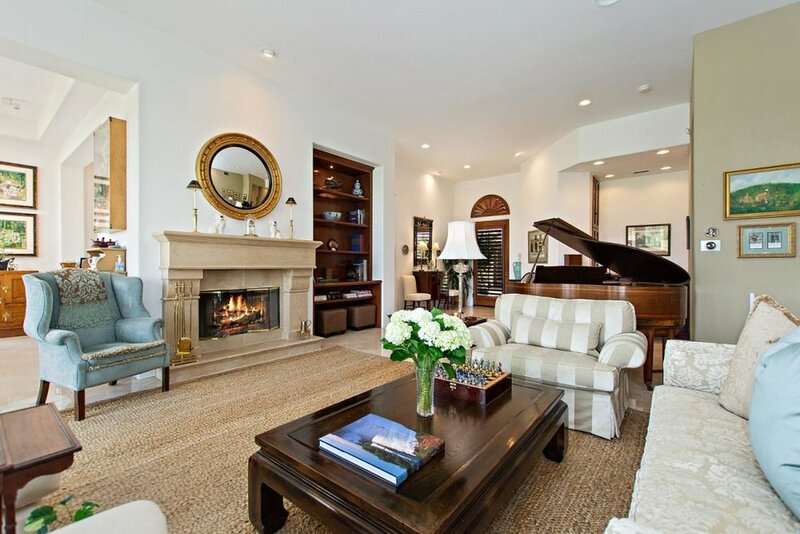 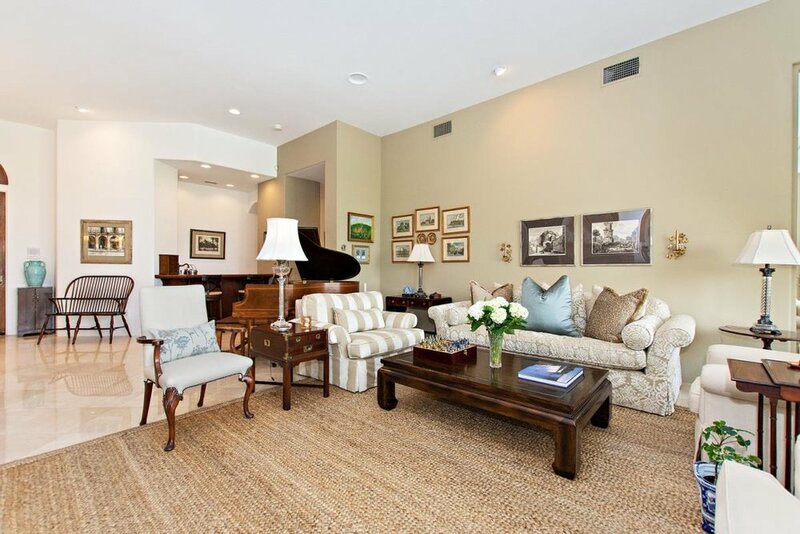 Close to world-class golf, tennis, shopping, dining, hiking & biking. 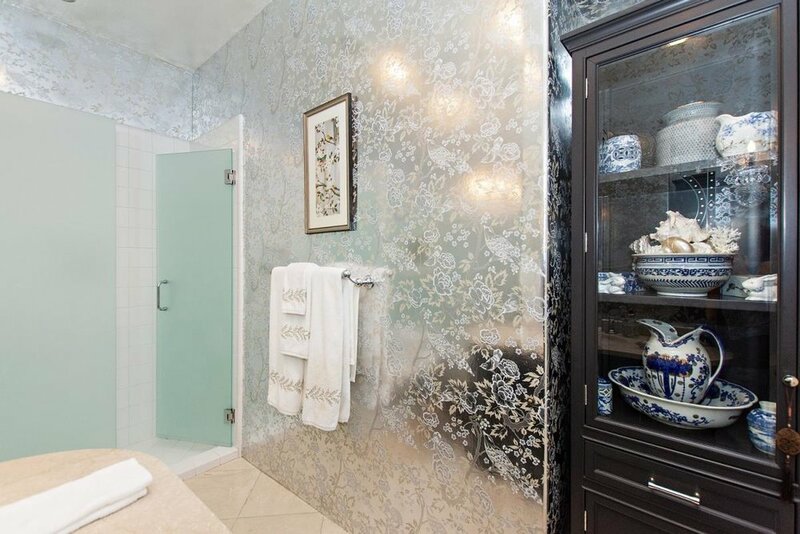 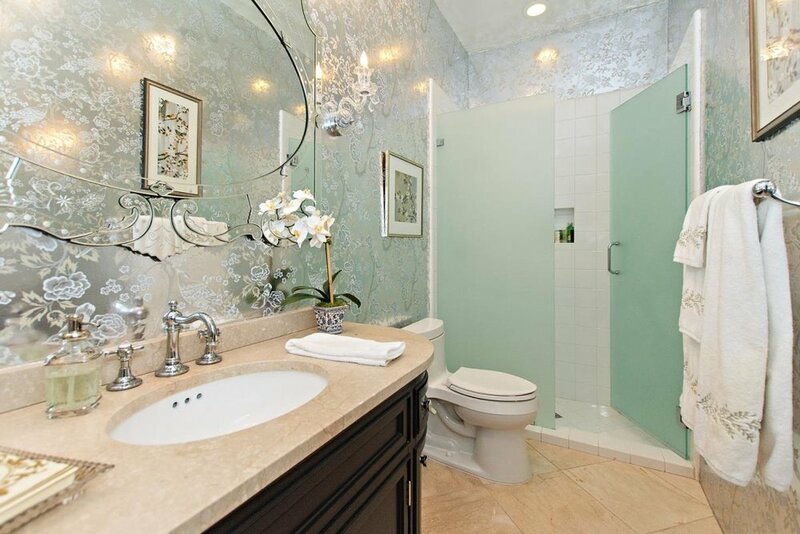 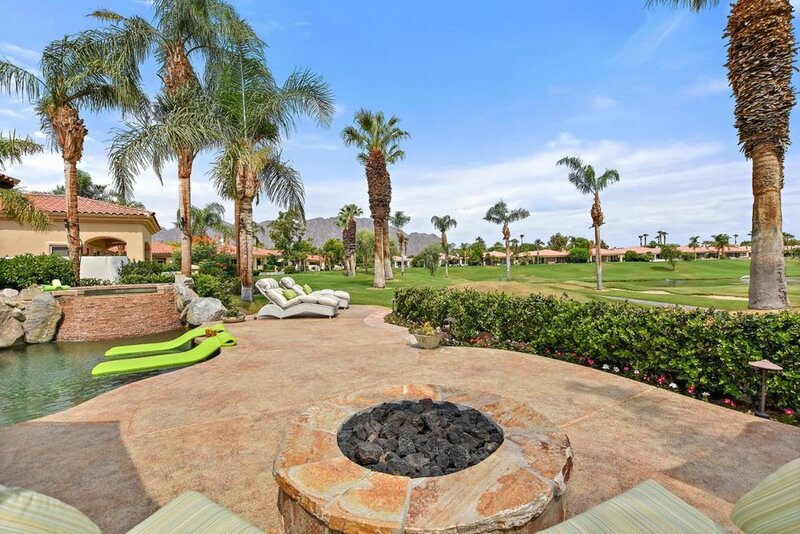 Why not contact Sheri Dettman & Associates today to view this La Quinta home, or any Palm Springs area property!